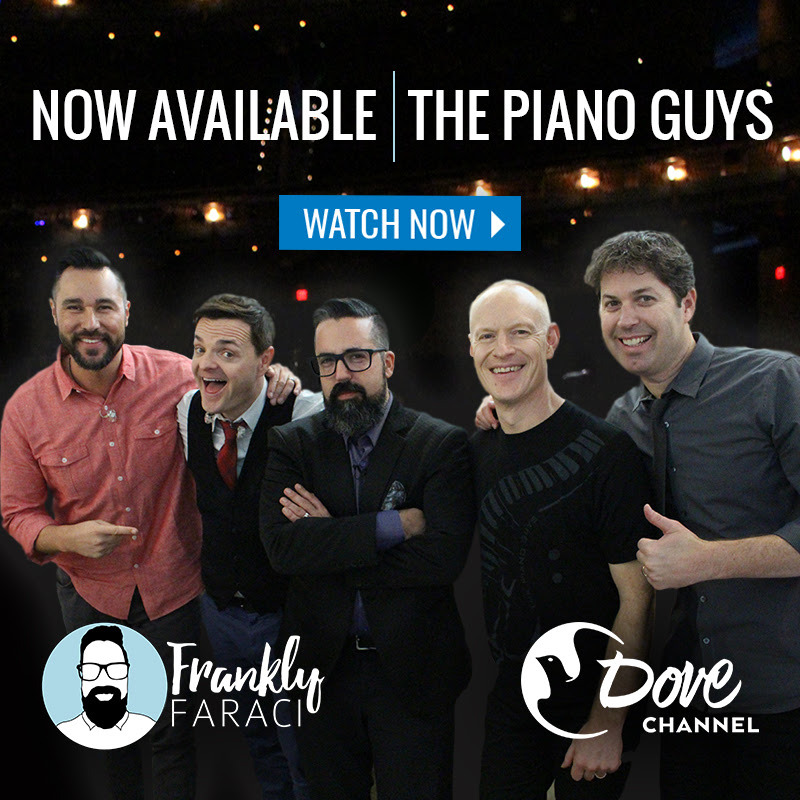 In Episode One, viewers will get a rare inside look at The Piano Guys on tour, speaking about the whirlwind of events that led to their success on the international stage, and how their faith is the cornerstone of their music. Season One also includes behind-the-scenes interviews with the hit sketch comedy group Studio C, YouTube sensations Daniel and Lincoln Markham of What’s (In)side?, former NFL Linebacker Bryan Schwartz and his wife Diane, founders of #FamilyGoals, Hip-hop Artist Propaganda and much more. Each episode is 22 minutes in length. 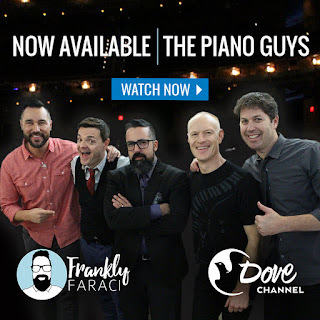 Frankly Faraci is available exclusively on Dove Channel, and can be viewed across a broad spectrum of connected devices including Roku® Players and Roku TV™ models, Android and iOS, AppleTV, LeEco smart phones and TVs, the web and other mobile and tablet devices. 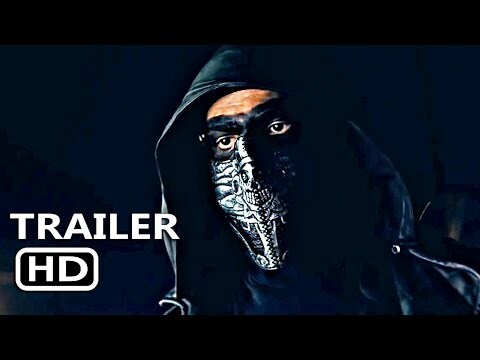 Additionally, Dove Channel, along with CinedigmCONtv and Docurama, are available to Amazon Prime members as part of Amazon’s new Streaming Partners Program. Prime members can view Cinedigm’s channels with the Amazon Video app available across hundreds of devices.